If you go down to a Nottinghamshire wood tomorrow, you might meet a dormouse or two. Forty captive-bred dormice are due to be released there in the 19th reintroduction project by the People’s Trust for Endangered Species (PTES), which has placed 700 of the endangered rodents into 11 counties over the past 20 years. 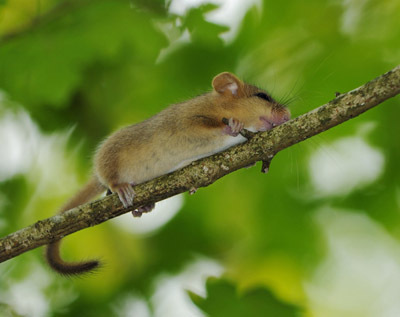 The dormice are released as breeding pairs, each in a wooden nest box inside a mesh cage, secured to a tree. These are removed once the animals have settled.